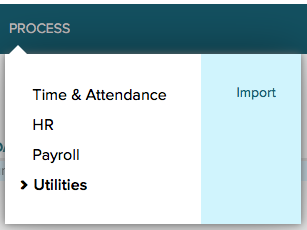 If you have an ADP Workforce Now account you can export your time from Buddy Punch into ADP. You will need to begin by starting a new payroll cycle. If you have already done so, please skip this step. 2. Once you have started a new payroll cycle, or if you would like to import your data into an existing payroll cycle, select Process from the top navigation bar. 3. The following options will vary depending on your role within ADP Workforce Now. Select Utilities and choose Import. 4. On your left pane, select Paydata. 6. Once you are on the Paydata Import Files page, select Browse for Files. 7. Select your exported payroll file from Buddy Punch by clicking Add Files. This is typically found in your Downloads folder on your computer. Click Upload when you are ready. 8. Once you have added your payroll file from Buddy Punch to your import, select the appropriate file(s) using the check box and click Done. 9. ADP Workforce Now will bring you back to your unprocessed payroll files. 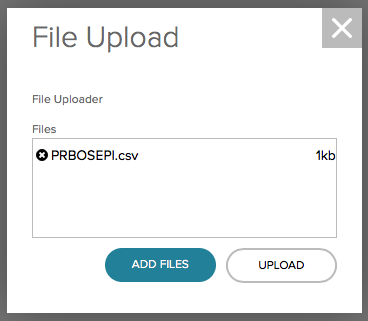 Select the appropriate file(s) using the check box and click Other Actions. Click Start to begin processing payroll.